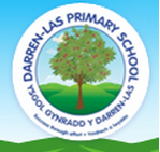 The PTA of Darren-Las works very hard to support the school with fundraising and social events. 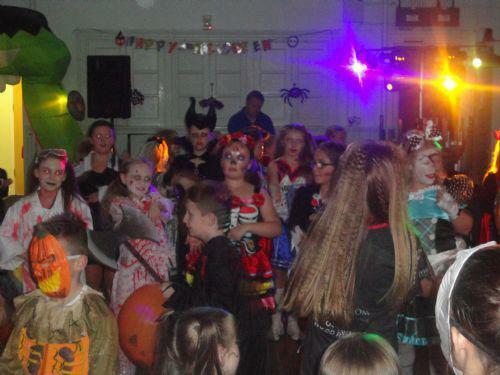 Many events are held throughout the year, including: discos, shopping trips, raffles and a Summer Fete. 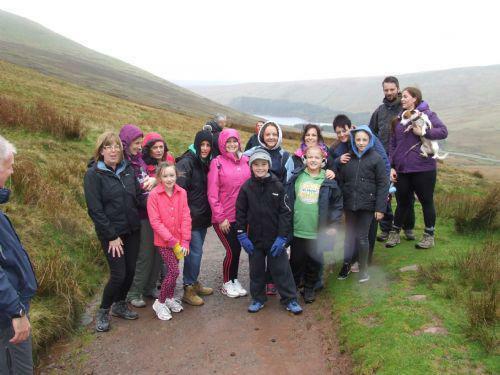 All funds raised are used to enhance the learning experiences of our children, provide additional equipment and contribute towards the cost of trips. Thank you to all staff who bought gifts to create the Christmas Hampers and to all parents who bought tickets. 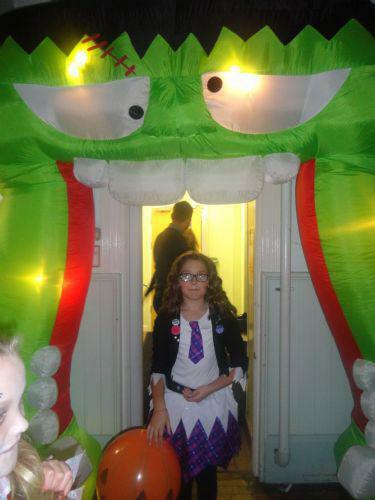 We raised £173 for the P.T.A. The children looked great wearing their Christmas jumpers today. Thank you to everyone who donated Lucky Dip prizes to sell at the disco on Monday. A big "Thank you!" to the parents who attended our first meeting of the year. 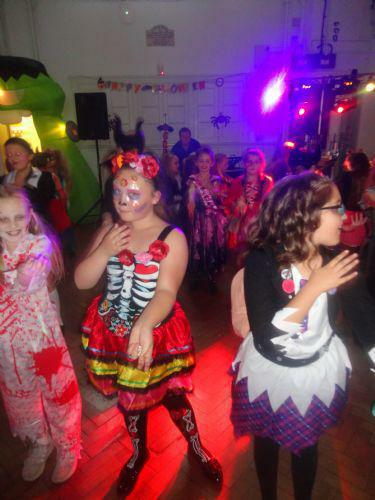 We discussed money raised last year and our plans for the year ahead, including the much-loved Halloween disco before half-term in October. We also plan to raffle Christmas hampers again as they raised £181 last year. Thank you in advance to staff for donating the gifts to make them. We would also like to thank the Friday toast volunteers for their continued support. 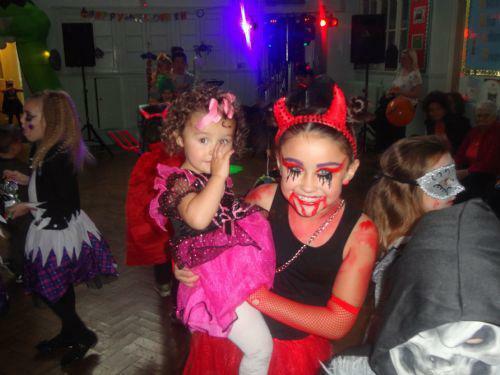 Not only does it raise funds for the school it is extremely popular with the children, who really look forward to it. 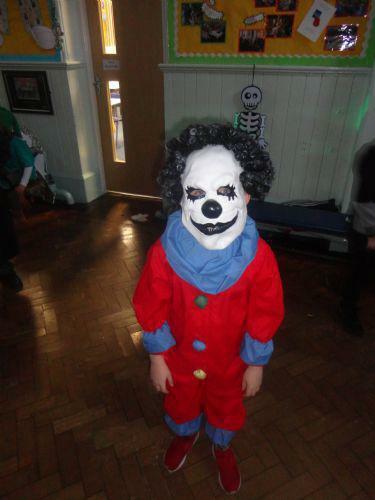 Over £370 raised for the PTA. Brand new shoes and boot for ladies and girls. All on sale for £20. 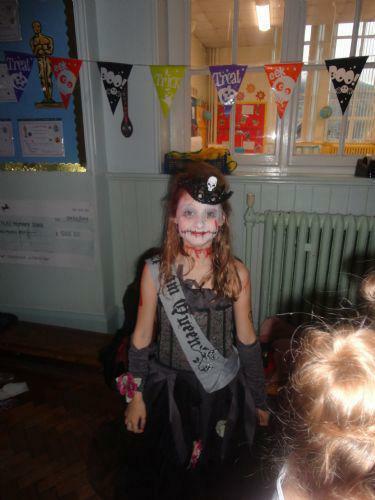 Monday 16th October 6 p.m. until 8 p.m. in the school hall. 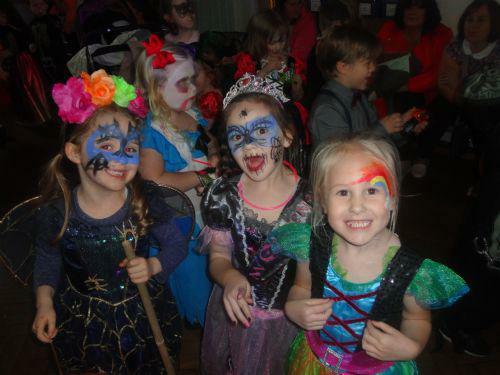 Thursday 26th October in the school hall. Foundation Phase - 4 p.m.- 5 p.m.
KS2 5 p.m. - 6.p.m. This year the staff will be donating items to make luxury Christmas hampers. Raffle tickets will be on sale from the beginning of December for your chance to win one of the hampers. The PTA will now be selling toast during Friday morning playtime for children from Years 1 to 6. Children will have the opportunity to buy toast for 20p, on a first come first served basis. A huge "Diolch yn fawr!" to the parent volunteers who helped make this possible. We raised £16.50 on the first day and the children thoroughly enjoyed having a warm slice of toast at playtime. 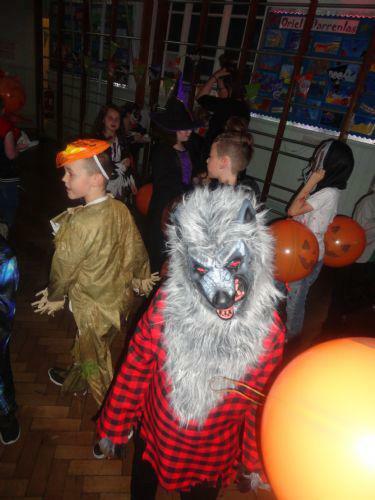 The Halloween disco was a great success, once again. 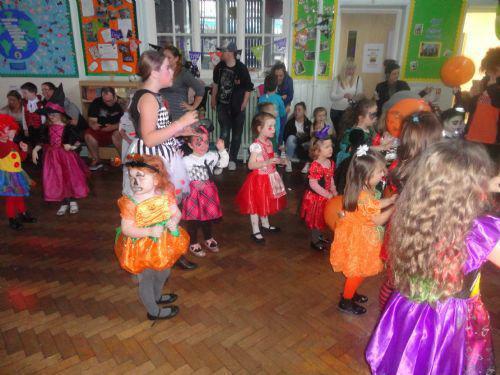 The children looked amazing in their costumes and had a ball, dancing the night away. A big "Thank you" to all who attended. Welcome to a new academic year. Our first meeting of the year has been scheduled for Tuesday 13th September at 3:15 in the Year 2 classroom. We hope to see you all there to discuss dates for this term and possible fundraising events. Diolch yn fawr to all parents who supported our PTA Christmas Jumper Day last week by sending in a Lucky Dip present to sell at the disco on Monday. 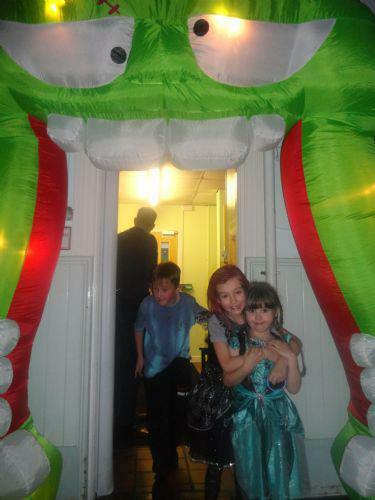 In total, we raised £241.50. Thanks to everyone who attended. 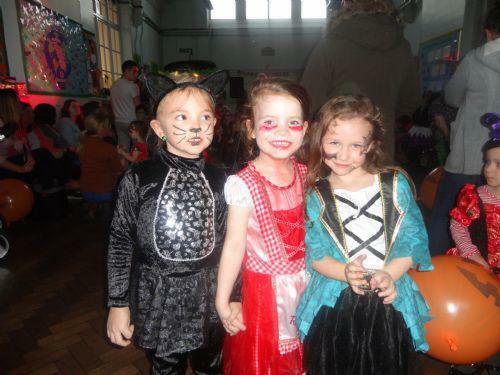 The Foundation Phase concerts were a big success. Children thoroughly enjoyed performing on our new stage, funded by the PTA. 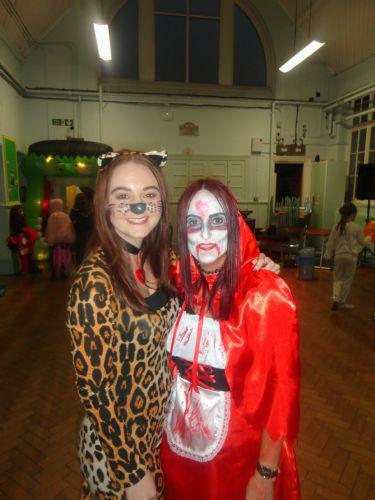 A big to Mrs Davies who ran the PTA during my maternity leave. 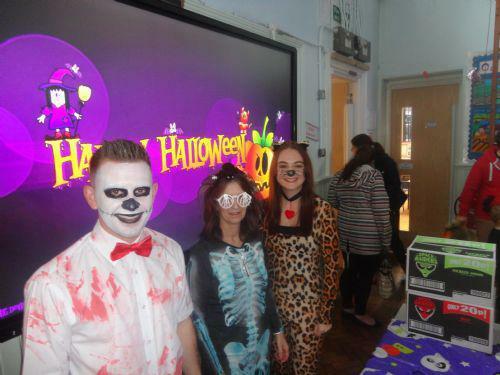 Also, to all staff and parents who helped to make our first Halloween disco a big success. Unfortunately, due to lack of interest, the PTA shopping trip to Cheltenham has been cancelled. The Christmas disco at the rugby club has been booked for Monday 14th December. Hope to see you all there! A belated Happy New Year to you all! We will be holding our Spring Term meeting on Thursday 26th February, straight after school in the Year 2 classroom. Hope to see you all there! A huge "Diolch yn fawr" for your support and tremendous fundraising this term. 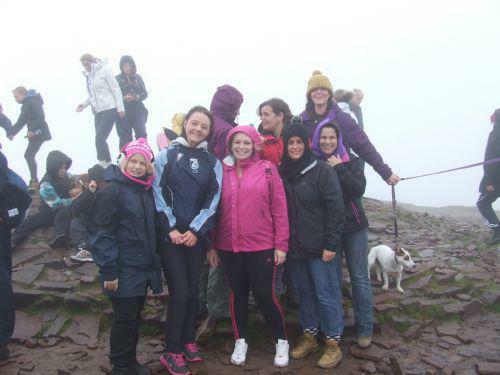 In total, we have raised over £2000. 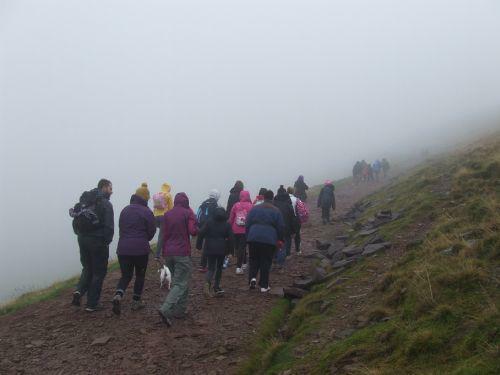 The Pen y Fan sponsored walk raised £925, Christmas concert ticket sales amounted to £620, the choir raised £270 singing at Asda, the shopping trip to Bath raised £152 and the Christmas disco brought in £160, despite us having to pay 3 times as much as planned for the disco after the DJ cancelled on the day! So, a massive to everyone who donated Lucky Dip prizes and attended on the night. This term we have purchased nets for the top yard to prevent the ball being lost and funded the cost of food and waste recycling bins for the canteen and yards, as requested by the Eco Council. 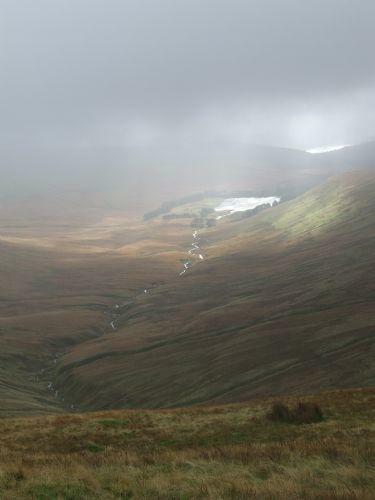 In the new year we will be providing outdoor equipment for children to use at break times and lunch times and contributing to the cost of transport for the choir to travel to London for the Young Voices event. We are also hoping to purchase our own stage so that we no longer have to rely on other schools to lend us their stages for concerts. Thank you for your continued support this term. Enjoy the Christmas break and we'll see you in the new year! The Christmas Shopping Trip to Bath on the weekend was a success, so thanks to all who attended and kindly took part in the quiz and raffle, helping to raise £152 for our school. 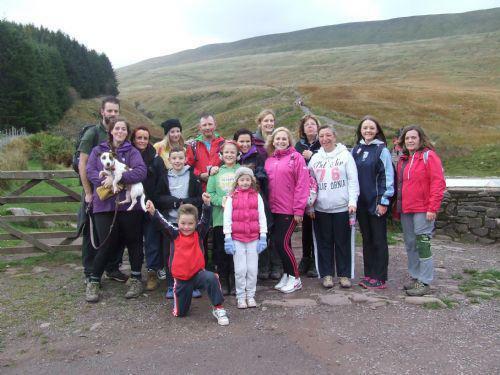 The amount raised by the sponsored walk up Pen y Fan has now reached £925. 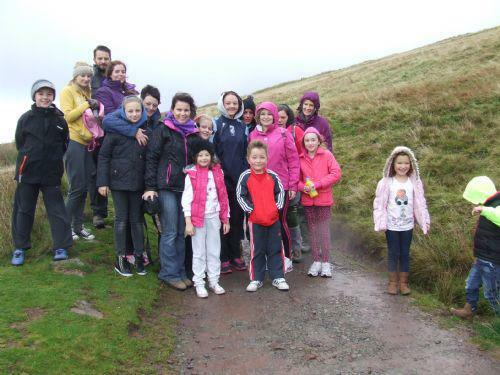 A huge well done and diolch yn fawr to everyone who took part in the walk and contributed to the massive amount raised for the school. A reminder that it is our shopping trip to Bath on Saturday 29th November. If you are joining us on the trip please can you send the £11 for the bus in to school by Friday 21st November. There are still a few spaces left on the bus so if you, or anyone you know, would like to join us please let us know and send the money in. 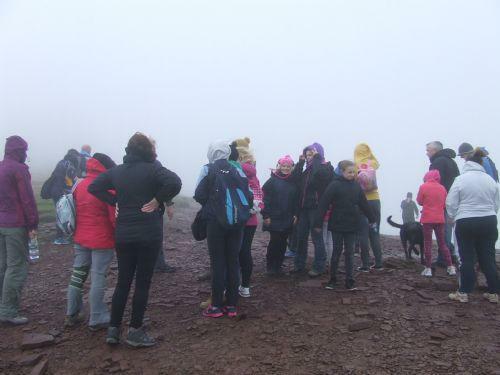 A huge congratulations and "THANK YOU" to all the children, parents and staff who took part in the sponsored walk to the summit of Pen y Fan to raise money for the PTA. 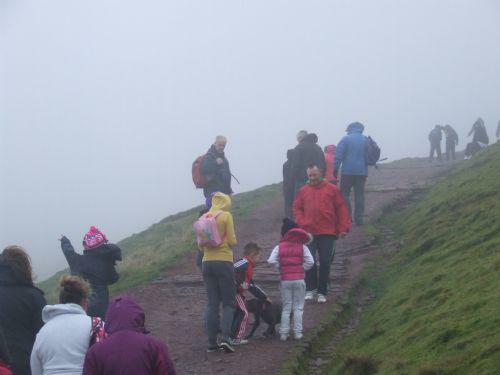 On such a dark, cold, rainy Sunday morning it would have been easy to have stayed in bed and decided to give it a miss, but, thankfully for all the children who will benefit from the funds raised, we are so glad that so many of you turned up and supported us. Not only that, the amount of money raised so far is over £700 and some people are yet to send their money into school, so that figure will continue to rise. 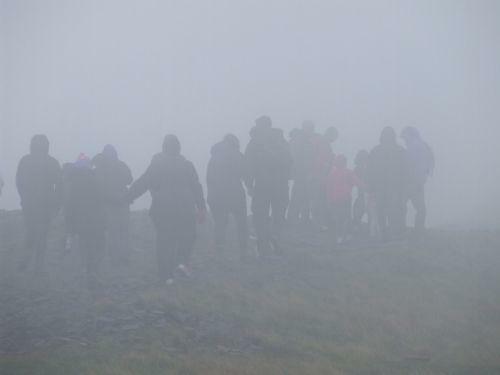 Although it was much harder than many of us anticipated, especially with the gale force winds, it was a rewarding experience and extremely worthwhile. Thank you again, you're absolute superstars!!! 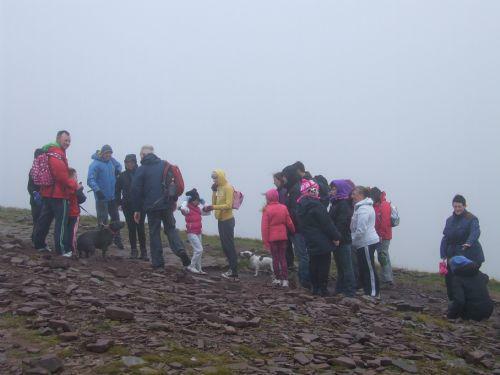 Sponsor forms for the Pen y Fan walk are available from Mrs Zgorzelski-Tierney or class teachers. There are spaces on the bus for the shopping trip to Bath. Please see Mrs Zgorzelski-Tierney or Mrs Davies to put your name down. A big to everybody who attended the meeting last Tuesday. 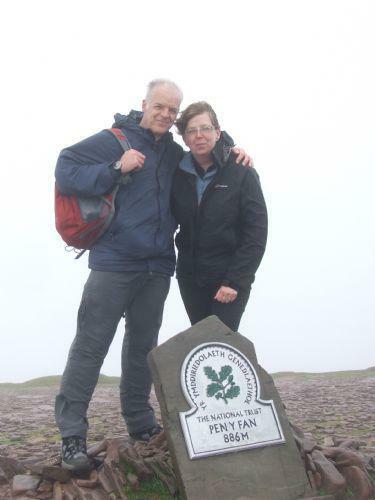 Sunday 19th October - sponsored walk to the summit of Pen y Fan (meeting at the Storey Arms at 9am). Please see a member of the P.T.A. or your child's class teacher to request a sponsor form. 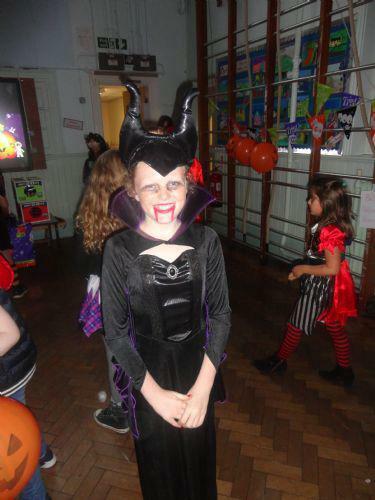 All money raised to be returned to school by Friday 24th October. Saturday 29th November - Christmas Shopping Trip to Bath. Please see a member of the P.T.A. or your child's class teacher to request a seat on the bus. Cost of transport will be roughly £10 (TBC when we receive final numbers). Monday 15th December - Christmas Disco at Mountain Ash Rugby Club (6-8pm). Our first meeting of the year will be held on Tuesday 16th September in the new Year 2 classroom (straight after school). We hope to see you all there.